The world’s biggest international financial institution that provides financial and technical assistance has launched a blockchain lab aimed at improving life in developing nations. Established in 1944, the World Bank Group is located in Washington, D.C., with more than 10,000 employees worldwide in over 120 countries. Promote shared prosperity by fostering the income growth of the bottom 40 percent for every country. Speaking at George Washington University, in 2013, Jim Yong Kim, the World Bank Group President, said that extreme poverty was ‘the defining moral issue of our time. As a result, it was imperative that the bank takes bold steps and not be afraid of taking ‘smart risks’ that would support projects that could potentially change a country or region. So much so, that the World Bank has now turned its attention to the blockchain to pilot projects that could improve social outcomes and governance in developing nations. In a report from CoinDesk, Denis Robitaille, vice president and chief information officer of the World Bank’s technology division, explained that the blockchain lab would work with its technology and non-profit partners to develop solutions that could be utilised. This could mean that blockchain use cases will soon be seen among the bank’s more than 80 client countries. It is envisaged that through the distributed ledger technology, eliminating poverty and improving people’s way of life will be achieved. Not only that, but as the blockchain is an immutable ledger, it is hoped that the technology will help nations to be more trustful with institutions again. And yet, while there are certainly benefits from the technology, there are risks to also take into account. Namely, energy and environmental consumption issues. Randeep Sudan, a digital strategy and government analytics advisor at the World Bank, noted the high amount of electricity needed for bitcoin mining and that any plans with the blockchain should be taken cautiously. The World Bank joins the likes of the United Nations which is also looking into the potential that the blockchain could have on the planet. Even though the blockchain is being employed in many use cases, support from the UN indicates the impact it is having and how it could be used to monitor carbon asset transactions and clean energy trading in the future. As climate change continues to impact our lives with debates circulating it continuing to divide people’s opinion, the blockchain could be the ideal solution. Of course, before it can reach this stage, more research will need to be undertaken in a technology that is, essentially, still developing. Similar to the World Bank, the UN has also set itself several goals that it aims to reach by 2030. Setting 17 Sustainable Development Goals (SDGs), the UN hopes to end poverty, protect the planet and ensure prosperity for all within the next 13 years. One of which is its Zero Hunger goal. With such a mammoth task ahead of it, the UN is going to need all the help and assistance it can get if it wants to meet its goals by 2030. What better way to do this, then, then by using an innovative technology designed to make the tracking and tracing of things easy? At the end of May, the UN World Food Programme (WFP) announced that it had completed its trial that sent money directly to 10,000 Syrian refugees. The success of the trial indicated the impact the technology can have and the significant number of people is can help. By providing digital currency-based vouchers, the refugees were then able to redeem them at markets involved in the trial. With the completion of the trial the WFP is planning to extend the number of refugees it can reach to 100,000 by August 2017. By the end of the year, the agency hopes to reach the entire Jordanian population. While these are just a few use cases of the blockchain within major agencies, they highlight the growth the technology is making and how it’s not simply being used within finance anymore. A lot can happen in the next 13 years and many improvements and advancements can be achieved. It is hoped that within that time, the World Bank and the UN are able to meet their goals, which will improve the lives of millions of people worldwide. Even though the blockchain is still in the early stages of its development, it is already showing that it has the potential to transform our day-to-day lives. Many organisations just need to be brave and bold enough to research it, which could end up helping to feed millions, cut carbon emissions and protect our planet for future generations to enjoy. Where we’ll be in 13 years is anyone’s guess, but hopefully we’ll be far better off than what we are now and that goals set have been reached. Featured image from Flickr via Sean Ellis. Bitcoin as we know it doesn’t exist in a paper form, which is one of the reasons why it’s so popular, but there are many who may have wondered what bitcoin paper bills would look like if it was in circulation. Well now, we can have some idea of what they may look like. In a project called Block Bills, Los Angeles-based artist Matthias Dörfelt has created visual representations of bitcoin paper bills by choosing, at random, 64 blocks on the bitcoin blockchain, by picking each of the block’s unique hash, which helps to identify it. Each bitcoin paper bill has been designed to colourfully represent different fundamentals linked to the digital currency. In the top right-hand corner, there is a number that represents the transfer volume, which replaces the typical denoting figure that is seen on fiat currencies. Furthermore, where a signature from the treasurer in any given country is found, there is the name Satoshi, the inventor of bitcoin, which is handwritten by Dörfelt. Numbers along the bottom right represent the timestamp when the bitcoin was mined while the dots on the left indicate a history of all the transactions. Not only that, but the colours of each bitcoin paper bill represents a different volume: the lighter the bill, the lower the volume while a darker colour indicates a high volume. Lastly, each bill has in its centre a blurred image that could represent a human being. The idea here, according to the artist, was to produce the visual representation of privacy and anonymity that bitcoin delivers. While the creation of the bitcoin paper bills may have only been for artistic reasons, it does help present the digital currency in a different light. Not only that, but it makes it more accessible to people and gives bitcoin more weight that makes it easier to understand. For many people, if there is something in existence that we can’t physically hold, the idea around it might not seem real, but thanks to Dörfelt it now can be. Surprisingly, this isn’t the first time that artists have embraced the technology world in their work. By doing so, they make it accessible to people in their day-to-day lives. Last September, Berlin-based New Zealand artist Simon Denny, reimagined traditional finance and how alternative futures could exist across different sectors worldwide through the blockchain technology. Focusing on three blockchain companies: Digital Asset Holdings LLC, 21 Inc. and Ethereum, Denny used full-length, cut-out images of them, placing them among larger-than-life special editions of the board game ‘Risk’ and Pokémon cartoons. By doing so, the artist was trying to imagine what the three companies believe needs to be achieved for a new world order. By focusing on the blockchain within the art world it could suggest that the distributed ledger has achieved a new level of status higher than bitcoin. Saying that, though, the blockchain can often come across as a complicated subject matter, but when explored through art it can turn something difficult into something understandable in easy ways. With the blockchain gaining such status and believed to have more potential than bitcoin, it could be that we see more blockchain-based art exhibits in the near future. If, however, there were bitcoin banknotes in existence, what could this do to its value? One of the reasons that the digital currency is so popular is because it is a decentralised currency where no central government has control over it. Thought up in the days of the 2008 financial crisis, there is no one person in complete control as to how bitcoin should be governed. As such its value has increased exponentially with millions of people of the opinion that bitcoin could eventually become a mainstream currency that replaces fiat transactions. So, if bitcoin paper bills were in circulation, would they increase or decrease the value of it? After all, someone would have to be in control of the number of banknotes in existence, which would require a continued supply to keep up with demand. Sure, this could potentially push the value of the currency up, but the main reason behind bitcoin is so that the public aren’t putting their complete trust into one person. What if the circulating of the bills came to a halt? What then? People would be angry that they had trusted and believed in something and we would just revert back to how it was before: distrust with the monetary system, believing that those in charge are simply pocketing the profits and getting away with it. The world has been, and in some cases continues to be, there, so it’s unlikely that they will want a repeat of an old show. So while the idea of bitcoin paper bills may seem like an idea, it’s only a fanciful one that won’t happen any time soon. For now, we can simply enjoy the benefits that the digital currency is providing millions of people around the world and how it is changing our ideas as to how we pay for things. Technology is changing and it seems that the bitcoin community is intent on having the digital currency lead the way for major changes that we might not think possible now, but could become very real in the not-so-distant future. A luxury seven-bedroom, six-bathroom house for sale in Canada has been listed on the Beijing Craigslist website for an eye-watering 1,075 bitcoins. The property advert, which was listed in the Vancouver suburb of Coquitlam at 1756 Hampton Dr. Located near the 18th hole of the Westwood Plateau Golf and Country Club, the advertisement has since been deleted by the author. However, according to the Tri-City News, a British Columbia-based news outlet, the advert, which went live over a month ago, featured photos of the home in addition to a write-up on its features. Even though there was no information regarding the property’s owner, the home was listed through Vallee Real Estate Group by agent Eric Vallee, while the brokerage for the property was listed as Keller Williams Black Diamond. Naturally, such a house posting was bound to receive some attention, given the fact that bitcoin was listed for its price. Upon reaching out to Vallee, the Tri-City News were informed that he was out of the office, but that another employee by the name of Val Petrov would be handling any inquiries. Petrov, however, refused to discuss the matter when asked about the listing. As of 26 June, 1,075 bitcoins equates to around $2.7 million. Interestingly, this price for the house is far higher than its listing on REW.ca, a real estate listing website, where its price is at $2.05 million. This, however, is not the first time that a luxury property has been listed for sale with its asking price in bitcoin in Coquitlam. Last month, a 5,000-sq ft., five-bedroom, five-bathroom home on Firdale Street near Mundy Park was being advertised on the Hong Kong and Vancouver Craigslist real estate pages for 2,099 bitcoins. At the time that amounted to C$5.2 million. Yet, while the postings had either been removed by the author or flagged for removal, it was still being listed on other sites, such as the Sutton Centre Realty page, where it was listed for a lesser price of $2.6 million. Such a listing was unlikely to go unnoticed. However, with more questions than answers it appeared that someone would have to come forward and explain the situation. Mario Figliola, the realtor who has the property listing, said the Hong Kong advert was a joke. Figliola added that he had spoken to a friend claiming that he was having trouble selling the house since the introduction of the foreign-buyer tax the previous summer. In Canada, regulations stipulate that during a real estate transaction bitcoin can’t be held in trust as it sits outside the regulatory guidelines applied to government institutions and banks. As such Figliola is clear when he states that he would not conduct such a large transaction with bitcoin. Any Canadian real estate sales that are conducted in bitcoin potentially risk running afoul the Financial Transaction and Reports Analysis Centre (FINTRAC) reporting requirements. This is turn brings the legality of the house listings into question. Naturally, such news then begs the question: is the latest house listing with a price in bitcoin a joke too? Are the sellers simply having difficulties selling the house and want a bit of media attention to get some interest in it? If regulations in Canada require a deal to be conducted in Canadian dollars, it seems unlikely that this is a legit posting that should be taken at face value. Not only that, but the posting is no longer available on the Beijing Craigslist website, which raises further questions behind the posting. Another reason why these properties have been listed in bitcoin could be down to the fact that the housing market in Vancouver has stalled. It’s claimed that money flowing through the city’s house market has dropped by 42.1 percent. This is partly the result of foreign buyers who are now experiencing more difficulty in buying property in the nation after a 15 percent property tax was added. Furthermore, Chinese investors, who are keen property owners, can only convert up to US$50,000 per person, per year. As such real estate in Canada is not what it once was, which could be why some estate agents are employing different tactics to attract people to luxury homes. For now, it seems that paying for a property in Canada in bitcoin is not going to happen. However, given the digital currency’s popularity, which is seeing an influx of foreign investors and its increasing value, it’s not hard to see why bitcoin was the chosen currency. On the other hand, it’s also easy to see how some viewers of the property may have simply written it off, thinking the posting was merely a scam. While people get scammed out of something in their day-to-day lives, when that occurs it doesn’t usually make news headlines or attract quite a buzz around it. If bitcoin is mentioned then it becomes a different story. Of course, getting scammed out of bitcoin does take place too. This was the case with a Maryland man who wanted to buy a 1955 Chevrolet for $3,000 after seeing an advert for it. And how was the man supposed to pay? In bitcoin. Unfortunately, while the Vietnam veteran paid more than the $3,000 for a car he had been searching for in the digital currency, he soon discovered that he had been scammed after he failed to receive his purchase. Even though bitcoin is being used for countless good things that are helping people access money in a timely manner, it is also being employed by criminals who want use a currency that makes it hard to trace. Thankfully, it’s unlikely that such a large amount of money is ever going to be transacted through bitcoin for a house sale in Canada, keeping people’s money safe to a certain degree. Featured image from Flickr via Dbilleaud. Claims that bitcoin is in a bubble are frequent statements that the digital currency community are used to hearing, and now someone new has jumped on board adding their voice to the mill. Jim Rickards, bestselling author and currency expert, believes that bitcoin is in a bubble. Why, though, does he think this? The Currency Wars author said that even though people are investing in bitcoin amidst recent lows with the U.S. dollar, it didn’t mean that investors were losing confidence in it. During the first half of 2017, the price of bitcoin has produced numerous record all-time highs, tripling its value since the beginning of the year. Its most recent was on the 11 June when it broke the $3,000 barrier for the first time, reaching $3,041. However, since then digital currencies across the market have fallen. Bitcoin dropped nearly 20 percent on 15 June when it was trading at a low of around $2,200 whereas ethereum, second to bitcoin, had fallen from over $400 to trade at $344. Naturally, with such a bloodbath taking place within a market that still remains highly volatile, it’s understandable for people to claim that bitcoin is in a bubble and is unlikely to become a viable asset for people to use. Many, however, state that such price corrections are normal after reaching new highs. As can be seen from this article from ZeroHedge, it provides an overview of bitcoin’s recent price projections with a look toward what it can produce in the future and possible fallbacks too. This in turn means that the currency could deliver further price increases. Previous price milestones at $100, $1,000 and, more recently, $3,000 have been reached. All of which then saw subsequent price corrections before bitcoin was able to climb further still to reach a new high. Will bitcoin reach the projected $10,000 mark? Who knows, but regardless of what the digital currency does or doesn’t achieve, there will be plenty of people claiming that bitcoin is in a bubble. Why Did Bitcoin’s Price Drop? It’s believed that the recent price drop in bitcoin is down to the fact that investors are concerned by Chinese miner Bitmain’s plan to initiate a hard fork of bitcoin if a code to upgrade the network is activated this summer. It’s no secret that bitcoin has issues with its scaling abilities. So much so, that the community is split as to what potential solution would provide the answer to fixing it. According to Reuters, a hard fork under Bitmain could see the creation of a new bitcoin blockchain, which would produce a new bitcoin currency away from the original one. As a result, Greg Dwyer, business development manager at digital currency trading platform BitMEX, said that people are worried. The solutions that are currently circulating to solve bitcoin’s scaling issues are Bitcoin Unlimited (BU), Segregated Witness (SegWit) and User-Activated Soft Fork (UASF). However, Bitmain has continually spoken against SegWit and UASF, with the founder of Bitmain, Jihan Wu, putting his full support behind BU. According to Coin.Dance, BU currently has around 41 percent support while SegWit is trailing behind at nearly 31 percent. Yet, it’s clear that a solution needs to be reached. If bitcoin is to grow and, potentially, increase its value then it needs to solve its scaling issues. In May, it was reported that there were over 220,000 unconfirmed bitcoin transactions waiting to be included on the blockchain. That number has since fallen to just over 36,000; however, it’s a clear indication that something needs to be done. It’s guaranteed that not everyone will be happy with the results, but at least something will be done where the community can move on from. That’s according to Morgan Stanley. The leading global financial services firm has said that digital currencies like bitcoin won’t become a viable currency in the future. Seeing them as more of an investment rather than a payment option, the firm thinks that using bitcoin is a ‘more inconvenient way to pay’ for things instead of using a debit or credit card. Yet, despite this thinking, there are already plenty of merchants who are expected to implement bitcoin into their payment options before the end of 2017. Japanese sellers are witnessing an increase in the use of the digital currency and are keen not to miss out on potential opportunities in the market. As a result, it’s expected that around 300,000 merchants will introduce bitcoin as a form of payment by the end of the year. For them, the claim that bitcoin is in a bubble doesn’t appear to ring true. As with anything that goes up, it must come down too, but that, inevitably, also means that it will go back up again. So it seems that’s the case with bitcoin. Featured image from Flickr via Oleg B. A man known for his ability to make uncanny predictions with future innovations has said that he won’t be putting money into bitcoin, stating that the digital currency won’t be the replacement for fiat currencies. Ray Kurzweil, Google’s director of engineering, made these comments at the Exponential Finance Summit, a New York City technology conference that was hosted by Singularity University, a Silicon Valley think tank. Speaking in front of 700 senior executives and technologists, Kurzweil explained his concerns regarding the most popular digital currency on the market. According to him, bitcoin lacks the stability needed that gives a currency added value, which makes people more likely to trust it and use it. Because of the currency’s inability to remain stable he believes this undermines its value. Such comments are unlikely to go down well within the bitcoin community considering 2017 has proven to be a good year for it. On 11 June, it was reported that the digital currency had hit the $3,000 mark for the first time in its history after hovering between the $2,700 and $2,900 range the previous week. Yet, while it finally reached a new all-time high, it didn’t stay up for long, once again highlighting that the currency remains a volatile asset. On 12 June, bitcoin’s price dropped by around $300 in one hour from $2,980 to a low of $2,650, according to CoinDesk. The drop, however, was short-lived, with prices rebounding back to $2,900 30 minutes later on CoinDesk’s Bitcoin Price Index (BPI). This news further gives credence to Kurzweil’s thinking and the fact that the digital currency still has a long way to go before it can shed its volatility despite the fact that it is up 200 percent in 2017. With Kurzweil’s current thinking, he joins the ranks of fellow bitcoin critics such as Berkshire Hathaway chairman and CEO Warren Buffet who once claimed that the digital currency was ‘a mirage,’ and that people should stay away from it. 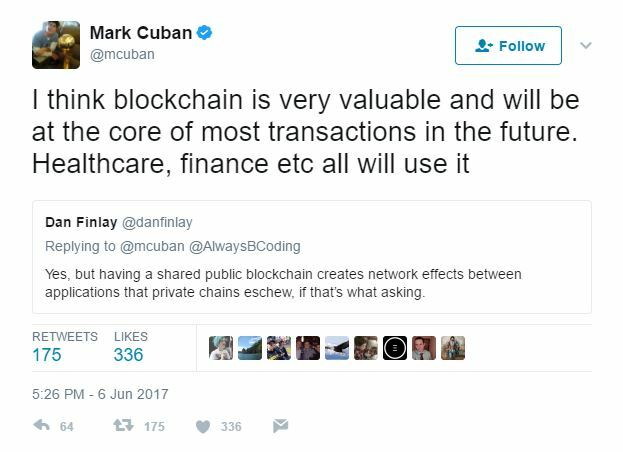 More recently American billionaire and investor Mark Cuban took to Twitter to state that ‘bitcoin is in a bubble,’ after it achieved a record high of $2,900 on 6 June. This despite the fact that the digital currency is outperforming stock market benchmarks such as the S&P 500 and Nasdaq. And yet, while bitcoin is continuing to make headway and is steadily increasing its price and market value, there will always be critics who will predict its downfall. Of course, while Kurzweil remains weary on the cryptocurrency, he takes a keen interest in the currency’s distributed ledger, the blockchain. For him, this is where change is likely to take place stating that it could be implemented by national governments, but that more people need to have increased confidence in it first. He said that the blockchain provides the transparency to change the way countries mint their fiat currencies. The Federal Reserve Bank has also spoken in the past about how the blockchain has more potential. The Minneapolis Fed president Neel Kashkari is reported as saying that the blockchain could be adopted in the future compared to the digital currency. While the blockchain is still in the early stages of its development, it’s interesting to see that so much interest is being placed on it and the future changes it can make to delivering a more efficient and tamper-proof system. Recently, the Dubai government announced that they have signed a new agreement with ObjectTech, a U.K.-based blockchain startup, to create digital passports for entry at Dubai International Airport. It’s hoped that by doing so, it will put an end to manual passport verification for seamless entry. According to the agreement, ObjectTech will be working with Dubai’s Immigration and Visas Department to develop the world’s first ‘gate-less border,’ as it combines the abilities of biometric verification and the immutability of the blockchain technology. This is just one example of how bitcoin’s distributed ledger is being employed in innovative ways that may not has seemed possible before. Whether the blockchain will be adopted more in the future remains to be seen; however, bitcoin also remains a valuable source for people, particularly those who are disenfranchised and without access to traditional banking services. While the digital currency may still be a volatile asset, it is a popular currency that many people are investing in. Its price will invariably go up just as it will also go down as different factors impact its price. Even though critics will remain, bitcoin continues to achieve new heights as it works at becoming the next big currency. Featured image from Flickr via YEKRA_Stills2. As Russia’s Central Bank explores the ways in which it can regulate the digital currency Bitcoin, the bank’s governor has raised questions as to whether it can be classed as a currency. In a recent interview with CNBC, Elvira Nabiullina, governor of the Russian Central Bank, stated that she views Bitcoin as a digital asset instead of a currency. However, the fact that the bank is even considering the regulation of Bitcoin is a marked difference from the country’s previous stance regarding the cryptocurrency. In March 2016, a new amendment to the Criminal Code by the Ministry of Finance in Russia saw the regulator proposing a seven-year prison sentence for management and executives of banks and financial services firms for the use of Bitcoin. For everyday individuals caught using the digital currency, the proposed prison sentence was deemed less at four years. However, despite the proposed new draft law, the following month saw the proposal by the Finance Ministry hit a delay. At the time, the deputy finance minister Alexei Moiseev stated that a number of corrections to the proposal were the cause of the holdup. Now, though, in a turnaround of events, the central bank’s governor has revealed that the authority is ‘analyzing’ the possibility of regulating the digital currency and is looking at the internalisation of the digital currency into the country’s regulatory systems. While Nabiullina didn’t extend further on what the central bank was doing, she did add that the authority had some concerns about Bitcoin. Yet, while the Russian Central Bank is weighing the pros and cons of Bitcoin as it works on the ways it can regulate it, there are some Russian companies that are due to embrace the currency as a form of payment. Ulmart, which is the Russian version of Amazon, revealed in May that it was going to start accepting Bitcoin alongside the fiat ruble in September 2017. It was due to accept the digital currency earlier in February; however, the e-commerce giant experienced a setback after the central bank intervened, blocking the company from accepting Bitcoin. The price of Bitcoin has grown exponentially during the first half of 2017. In May, the price of the currency jumped to a near $2,800 for the first time, after it recorded a price of $2,799. However, while the price bubble finally burst at the end of May, pushing the currency’s value down to $2,300 and wiping around $4 billion of its market cap value, there is still a bullish attitude within the community. So much so, that several predictions have already come out indicating a positive future for the digital currency. Last December, a Saxo Bank analyst predicted that the price of Bitcoin could reach $2,000 by 2017, which came true on the 21 May, 2017. 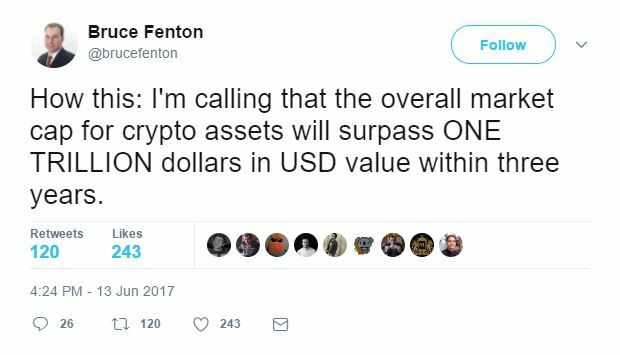 That same analyst, Kay Van Petersen, has now predicted that the cryptocurrency could attain even greater heights and believes that in 10 years time, each Bitcoin could be worth around $100,000. Not bad considering that Bitcoin was trading around $750 toward the end of 2016. Van Petersen, however, is not the only way to see a bright future for the digital currency. 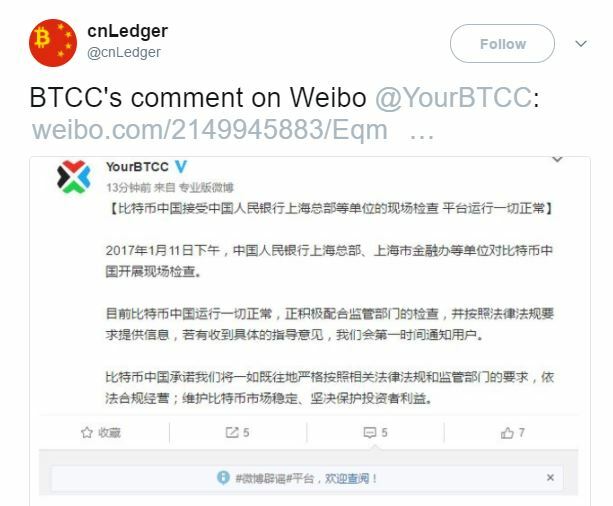 While, Bobby Lee, CEO of BTCC, a major digital currency exchange has tweeted in the past, stating that the cryptocurrency could reach between $5,000-$11,000 by 2020 after the block halving reward. Additionally, CNBC Daniel Masters, director of Global Advisors Bitcoin Investment Fund (GABI) has spoken out and said that the long-term investment in Bitcoin remains strong and that it has the potential to reach $4,000 within eight to 14 months. These are just a few of the positive indications of where Bitcoin can go, which is seeing heightened interest in the currency around the world. A boost in the price and value of Bitcoin can be attributed to the fact that in April the Japanese government made changes to its regulations, which now recognises Bitcoin as a form of payment. As a result, significant trading volumes are coming from Japan. With Japanese companies now open to accepting the digital currency as a form of payment, companies such as Peach Aviation Ltd., will make it possible for customers to pay for their flights with the currency by the end of 2017. Peach, however, is just one of thousands of industries that are already, or are due to, accept the currency in light of the new law changes. It’s not yet clear as to where Russia is going with its proposed Bitcoin regulation. In a report from Bloomberg in April, Moiseev, said that in 2018 Russia could recognise digital currencies such as Bitcoin as the authorities work on enforcing rules against money laundering. Even though Bitcoin isn’t regulated by any government, its use by criminals has meant that it is being scrutinised by many governments who believe it’s being used for money laundering purposes, which is hard for the authorities to track. The recent WannaCry cyberattack, which targeted thousands of computers in hundreds of countries, further highlighted its use within the criminal world. Russia was one country targeted and is reported to have been the worst hit in what has become known as the most audacious global cyberattack to have taken place. Naturally, it is because of this incidents that countries are keen to track Bitcoin payments to stem the flow of ill-gotten gains. Such a move to regulate the currency in Russia may also play a role in pushing its price even higher. As of 5 June, the price of Bitcoin is trading around $2,590. Featured image from Flickr via Joseph Pole. An analyst who rightly predicted that Bitcoin would reach $2,000 in 2017 has gone on to predict greater things for the digital currency in the future, claiming that it can reach $100,000 in 10 years. In December 2016, Denmark-based Saxo Bank released a report called Outrageous Predictions for 2017. At the time, the price of Bitcoin was trading around the $750 mark and seemed a long way from attaining anything what we’ve seen so far in the first half of 2017. In the report, the bank made a number of forecasts on an array of things such as Brexit, stocks, banks and commodities around the world. It also mentioned Bitcoin. More specifically, Kay Van Petersen, a global macro strategist at Saxo Bank, predicted that under Trump’s presidency and his spending ‘binge,’ which would push the dollar sky high, emerging markets would be forced to seek alternatives. This, in turn, produces an ideal environment for Bitcoin to test the $2,000 mark, he adds, which it did when it reached that price on the 21 May, 2017. It subsequently continued achieving new heights where it nearly attained $2,800 before falling back down to $2,300 on 30 May after a price correction saw its bubble burst. Now, though, Van Petersen is back with new predictions and is looking ahead toward the long-term growth of the digital currency. In 10 years time, there will be 17 million Bitcoin in circulation, which, when divided by $1.75 trillion, would equate to each Bitcoin being worth over $100,000. Not a bad estimation considering how far the digital currency has come in its relatively short life span and the fact that it has achieved so much in the first part of 2017. With the price of Bitcoin steadily rising, it seems probable that Bitcoin could quite easily reach $100,000 in 10 years. However, while Van Petersen states that his prediction is ‘conservative,’ he believes in the future of digital currencies. It is hoped that improvements to Bitcoin scalability issues will put an end to the gridlock that many users are experiencing with their unconfirmed transactions. This is one problem with the currency that the community is struggling to resolve in a timely fashion. On the 24 May, the Digital Currency Group (DCG), which represents 56 companies in 21 countries and makes up 83.28 percent of hashing power, $5.1 billion monthly on chain transaction and 20.5 million Bitcoin wallets, revealed that a scaling agreement had been reached for the activation of Bitcoin Core’s Segregated Witness (SegWit) and a 2MB hard fork implemented within six months. The agreement also lowered the threshold for activation from the original 95 percent to 80 percent of the network’s mining power. The arrival of this news also pushed the price of the digital currency up to over $2,300 for the first time. When Bitcoin first came on the scene in 2009 there were only a few select people who truly understood what is was and what Satoshi Nakamoto was attempting to achieve with it. Now, the digital currency is known all around the world, is accepted in many shops in various countries and is undertaken as a form of payment for countless day-to-day services. Not only that, but several people have undertaken round-the-world trips only using Bitcoin as a form of payment. In such a short time, Bitcoin has managed to demonstrate it has real world value, but it also has plenty of room to grow and expand on what it’s doing at the moment. Van Petersen believes that, with time, these developments will appear. Interestingly, while Van Petersen is predicting great things for the future price of Bitcoin, a report from the Nikkei, states that with soaring Bitcoin prices, investors face growing risks. Unlike investments in assets such as stocks where price-earning ratios and other measures aid investors’ decisions, when it comes to digital currencies there is ‘almost no yardsticks for investment,’ the report states. It’s not surprising that there have been comparisons to the Dutch tulip bubble in the 17th century, and yet, the buzz around the price of Bitcoin and where it’s heading hasn’t done anything to stem its flow. It’s because of this that the digital currency community remains excited about the path that the currency is on and what it achieve in 10 years time. Within that time could we be using the currency more easily and freely in shops and how we undertake our day-to-day transactions? Will banks be less relied upon? And just as importantly, will we have reached a solution to the cryptocurrency’s scaling issues by then? Who knows, but if Bitcoin is to reach $100,000 in the next decade, it would certainly be an exciting time for the digital currency community. So much so, that it may even be worthwhile holding some Bitcoin in a secure wallet to reap the rewards further down the line. As of the 1 June, 2017, the price of Bitcoin is trading at $2,440.